For the month of October set sail aboard a replica 18th century Spanish galleon (ship), Captain Sebastian the Black’s ship for a family friendly evening filled with amazing stunts, musical numbers and razor-sharp teeth that are sure to leave you and your youngsters howling for more! In this interactive tale of love and adventure, can you join the Vampire Hunter in escaping Captain Sebastian the Black’s crew of “Vampire Pirates” before becoming… their dinner? It only takes one bite! 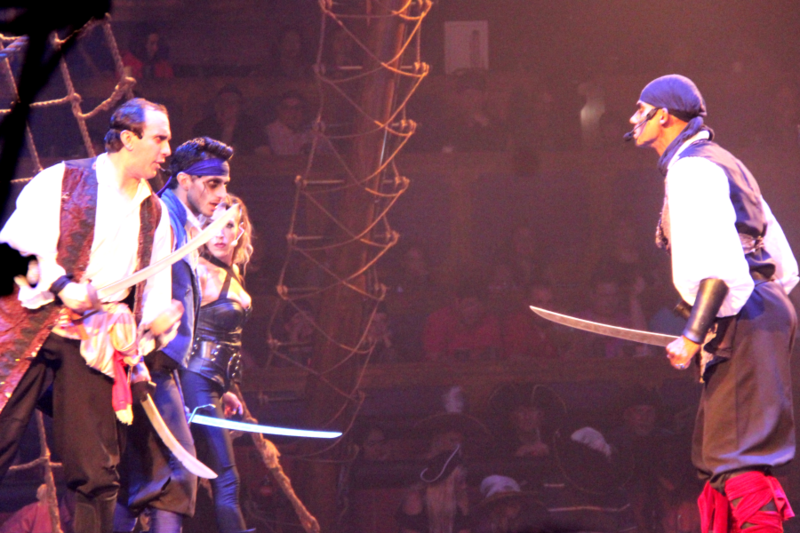 Celebrate Halloween at the Pirates Dinner Adventure with a Halloween Spooktacular show now through October 31st. 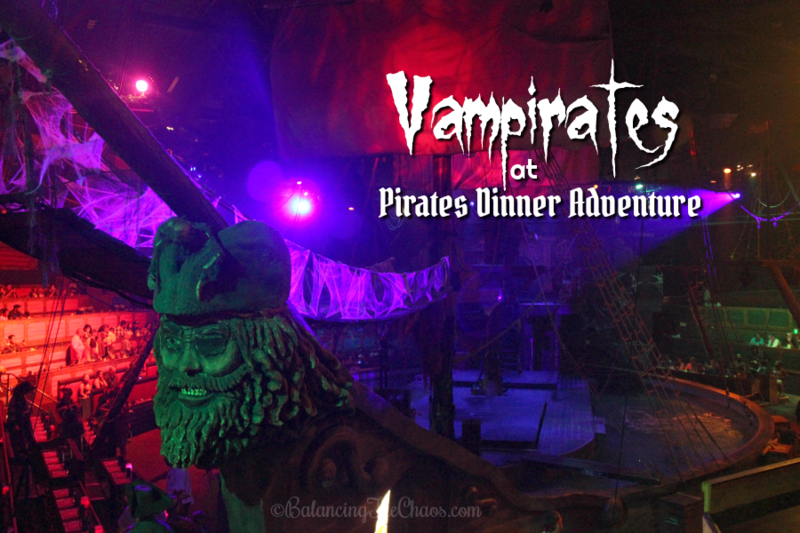 We were invited to experience the Halloween Spooktacular at Pirates Dinner Adventure in Buena Park last week and had such a great time, make plans to get there early. Approximately an hour before the show, enter the bar area, and order yourself one of their deliciously themed cocktails and mingle with your party, while you dine on tray passed appetizers. Then, about 15 minutes before the main event, your host arrives and begins the festivities. This is where the story begins of vampirates take over. Meet your vampirate as he escorts you to your table section. Once you are seated, your waiter or waitress is there to greet you and get your beverage selection and secure your entrée choice. All through the show, a delightful pirate waiter or waitress presented a hearty 4-course traditional feast with your choice of chicken or skewers of shrimp with vegetables, seasoned rice and buttery mashed potatoes. The kids absolutely shocked us, just about finishing their complete meal – soup or salad, chicken nuggets with mac n cheese and mashed potatoes. My munchkins never eat that good!!! And to top it off, we all polished off our cake! 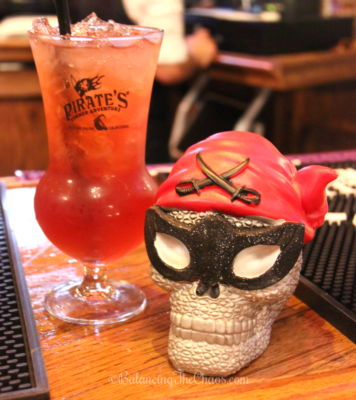 Pirates Dinner Adventure is celebrating this spooky holiday now through October 31st. 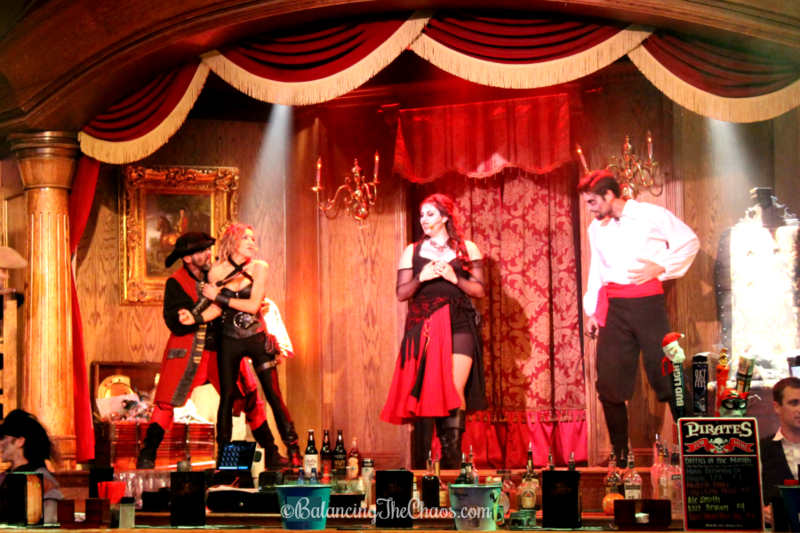 Don’t miss the “Vampirates” show where the evil pirate, King Sebastian take over the ship and kidnap the vampirate hunter and the gypsy. The best part about this family friendly Halloween adventure was audience participation! Audience members were invited to join in on the action and competition, assisting our mascot pirate in defeating the vampirates. Children get into the action as they are sworn in as honorary pirates. 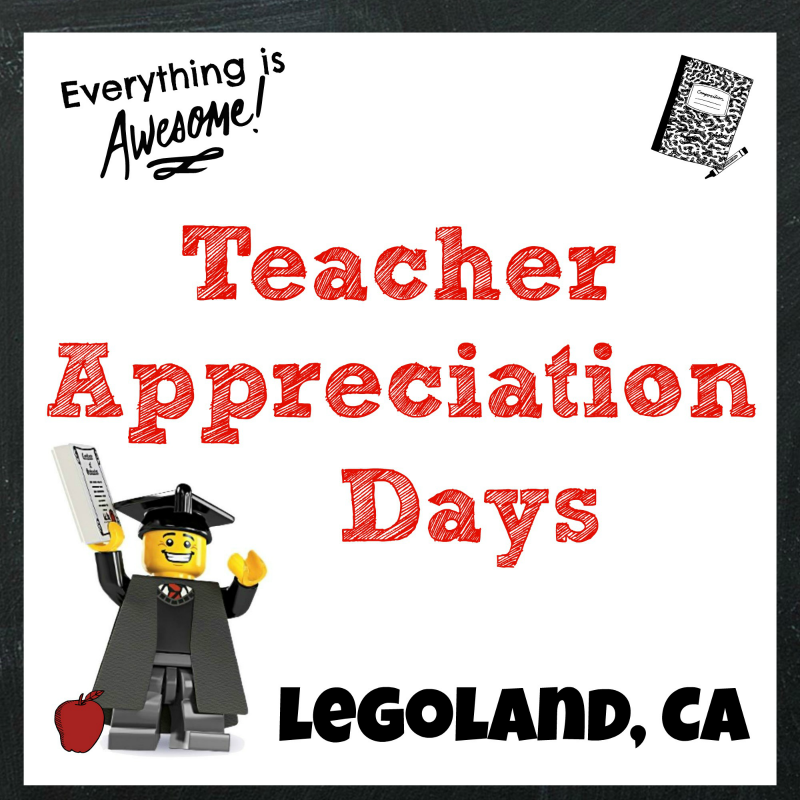 Use my special discount code to purchase tickets: $32.95 for Adults, $26.95 for children plus tax and fees. 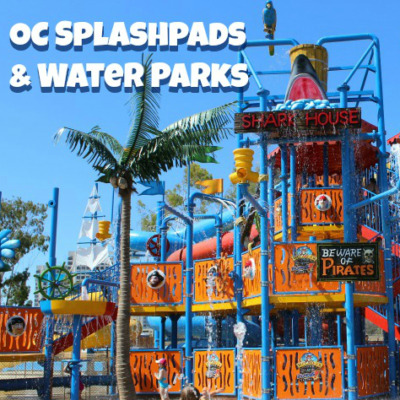 Group rates and are available for parties of 10 or more. Prices and policies may change without notice.